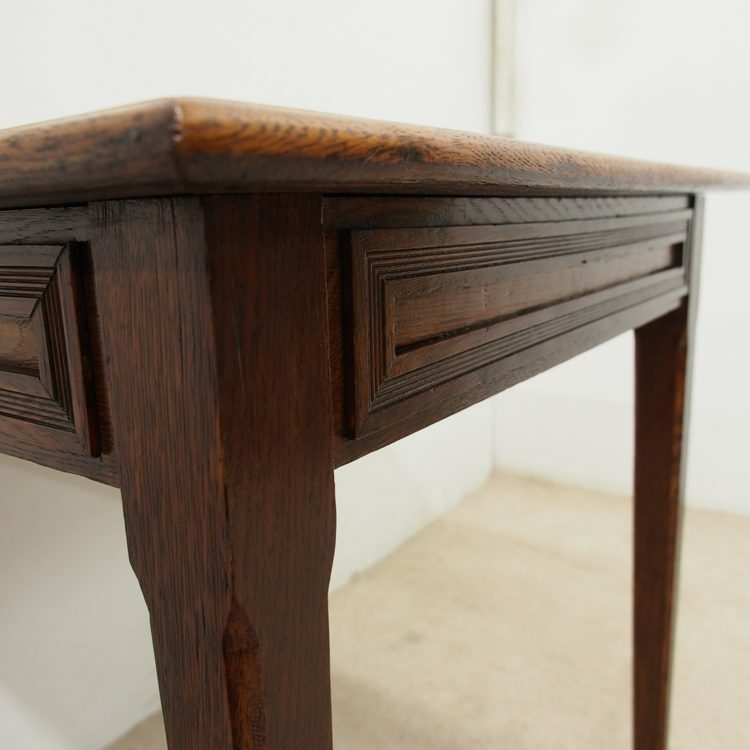 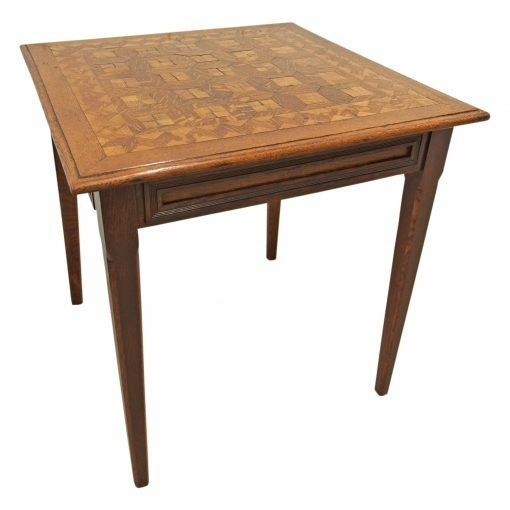 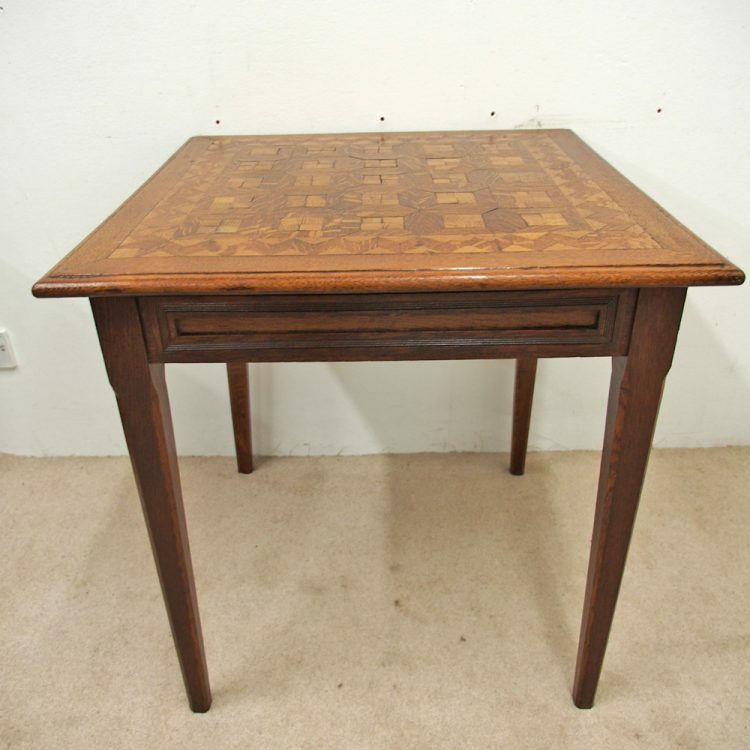 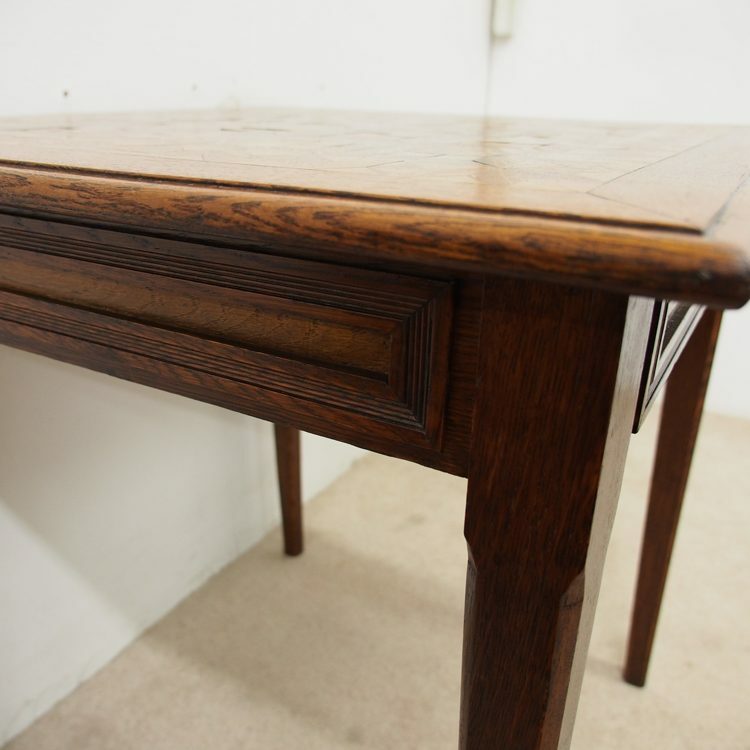 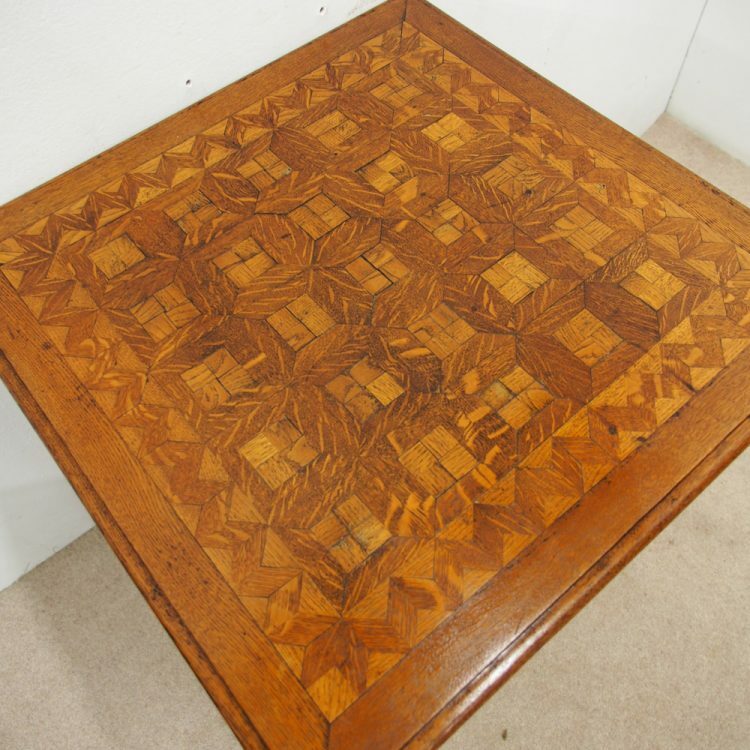 Circa 1900, unusual oak occasional table. 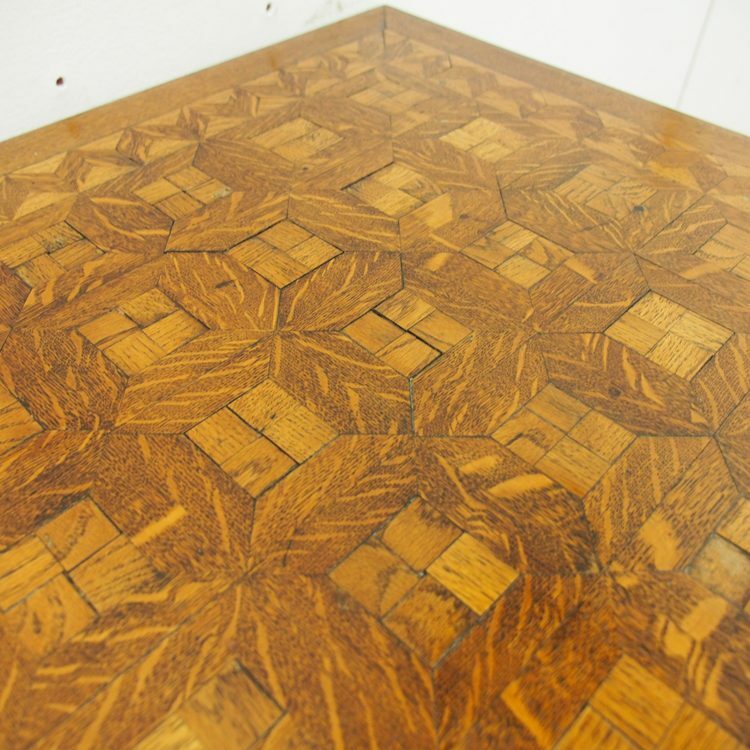 With a cross banded top and central parquetry panels, creating geometric patterns across with small solid oak blocks. 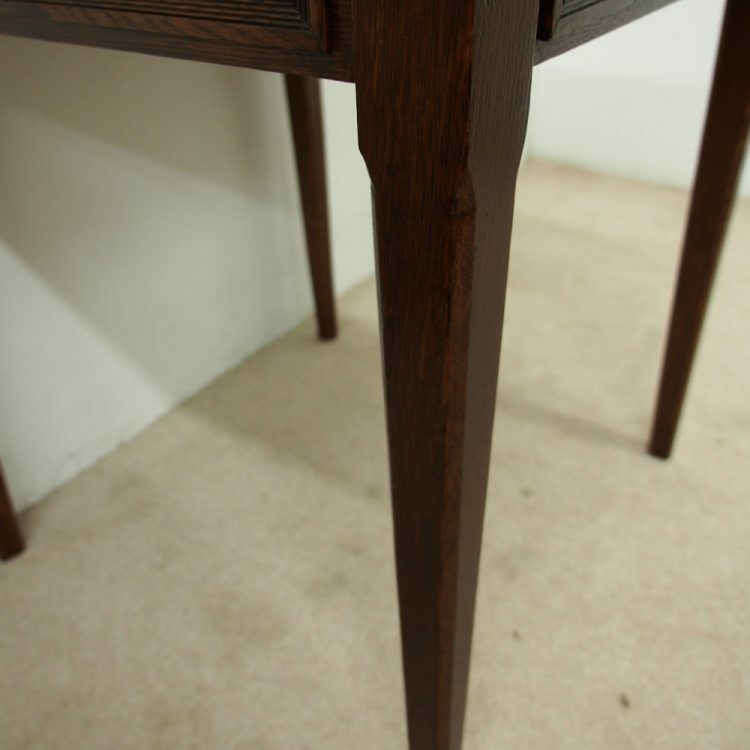 The top has a moulded edge and there are fielded panels to the apron, all standing on square, chamfered tapering legs.